If you still remember, Microsoft Dynamics NAV 2016 (ex ‘Corfu’) will works natively with Dynamics CRM Online. Enabling this integration will be very simple to install and setup and it will works with a default setup. I will not write about this integration jet, because it is still by NDA. I want to say that this is a great feature because CRM Online is extraordinarily listed on the market. It can make a great opportunity in repeatability NAV implementation model. I have just found a Gartner research about Sales Force Automation. 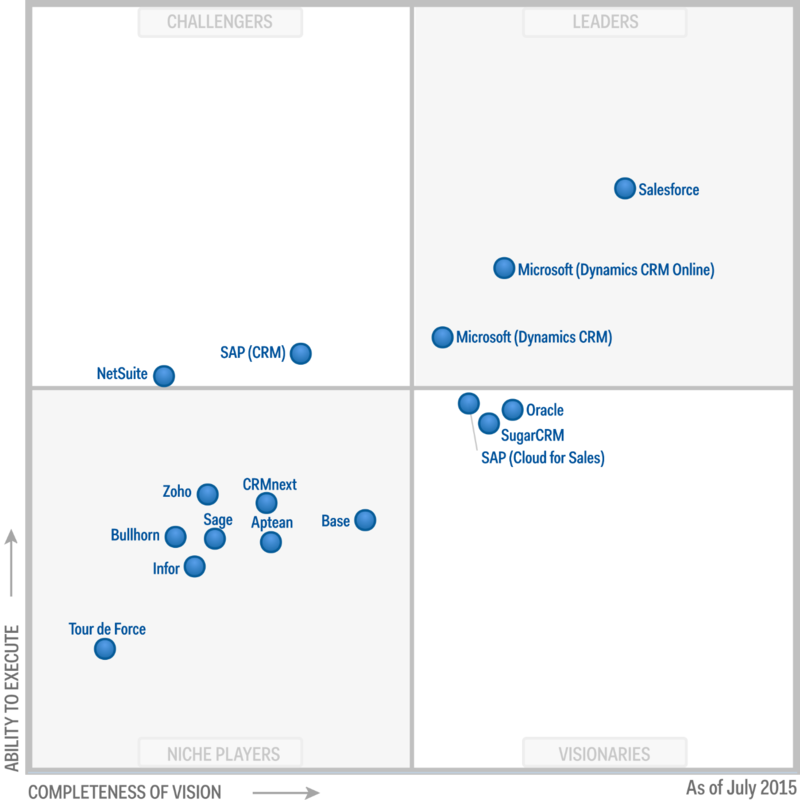 Gartner marks MS Dynamics CRM Online and MS Dynamics CRM as Leaders. Besides them, you can find only Salesforce in this Leader Quadrant. This is really good position for MS CRM and CRM Online. With them, this is good opportunity for NAV 2016, as well. You can find here more about it research.